Case Study - City of Baltimore and SII IVR Solution | Systems Integration, Inc.
Baltimore is a city of great neighborhoods with unique characteristics. One of the nation’s oldest cities, Baltimore has 72 historic districts including over 57,000 monuments, statues and other structures. In the late 1700’s Baltimore quickly grew to become the third largest city in America. Through the mid-20th century, Baltimore remained among America’s ten largest cities. The City of Baltimore was finding it difficult to service their citizens’ needs. While the City’s Artisoft Interactive Voice Response (IVR) system provided access to the mainframe, connectivity was unreliable. The number of sessions required to complete a single transaction was placing unreasonable burden on the mainframe and causing numerous interruptions. To compound the problem, the City was unable to obtain any reliable reports to determine how many citizens were being affected. The City also found that the Automatic Call Distributor (ACD) did not function properly and not all data from the mainframe was provided to callers increasing callers opting for live agents. After-sale support was non-existent. Finally, the City of Baltimore decided they needed a new system that would be able to better service the public. Systems Integration, Inc. (SII) performed a detailed analysis of the City’s needs and problems, including an analysis of the then current network infrastructure. SII developed a Detailed System Requirements Definition that included a complete definition of the requirements and scope, a complete acceptance criteria matrix, and a Detail Design Document, Description of Customization Made. To solve the problems that the department was experiencing, SII installed a Genesys PureConnect solution. The PureConnect software resides on the server running the Windows operating system. Customers using the PureConnect IVR system are connected via SII-developed applications to the City’s mainframe data, providing real-time access to financial information needed by citizens, including water bills, real estate tax information, traffic tickets, and other data. Real Property application provides citizens and organizations the ability to inquire on the tax information for a specific property. Personal Property application provides citizens and organizations the ability to inquire about tax information for personal property. Parking and Red Light Citations application provides citizens and organizations the ability to inquire about parking and red light camera citations that may include information on fines, penalties, trial, and investigation status. Billing application provides citizens and organizations the ability to obtain information about miscellaneous invoices and outstanding bills. Metered Water application provides citizens and organizations 24×7 account and payment location information. During business hours, callers can also request transfer to the service staff to ask questions about billing charges, make payment arrangements, or obtain other information about their account. 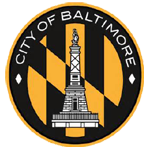 o The general public can call the City of Baltimore access the IVR and obtain tax owed, due date, last payment date, last payment amount and tax sales message. They can obtain a copy of a tax bill, transfer the caller to a staff member, or obtain payment locations and methods of payment. o When a constituent calls the IVR and enters identifying information, the database is accessed and the appropriate information is conveyed. Ifa payment is made the database is then updated. o For Parking tickets and Red Light Citations, the system provides the citation number, violation date, balance due, balance paid message, balance payment due date or pay immediately message, fine amount, penalty amount, bad check amount, trial date request, trial date, trial location, and investigation status, or the option to be connected staff. The system automatically synchronizes the customer service agent’s data screen to the application and screen last used by a caller in the IVR process. Calls are routed to the appropriate agent via queues and number dialed controls. The system automatically provides host failure detection with a logical reset and restart capability. Management receives information via standard and custom reports. SII’s solution improved service reliability and helped citizens get the answers they needed. According to the City of Baltimore, the 30% increase in productivity for City workers, significantly improved access and reliability for their constituents, and virtually eliminated long lines waiting to pay fees. © 2016 Systems Integration, Inc. All rights reserved.